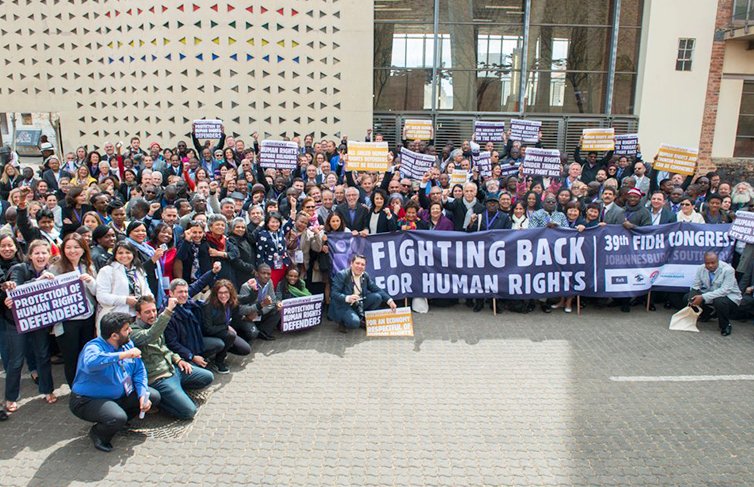 The International Federation for Human Rights hosts an international conference every 4 years. 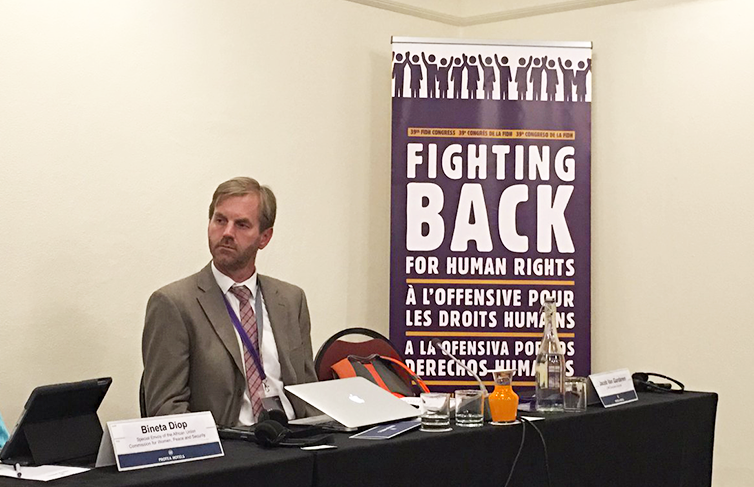 This year, the conference was in Johannesburg. 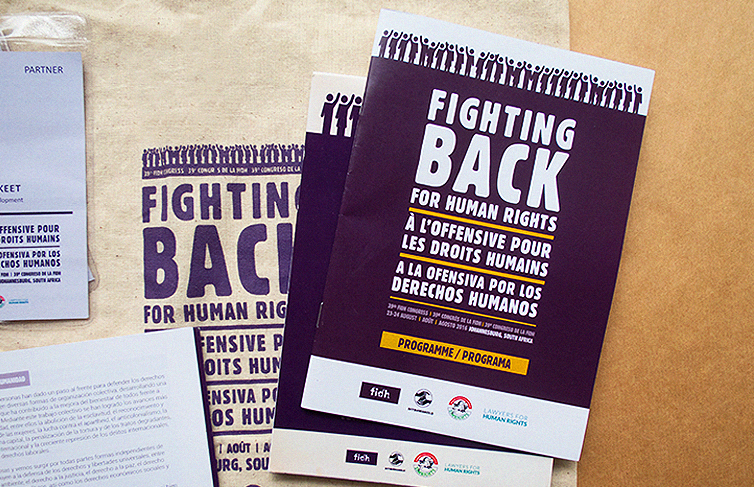 FIDH approached Design for development to come up with a branding and visibility campaign. 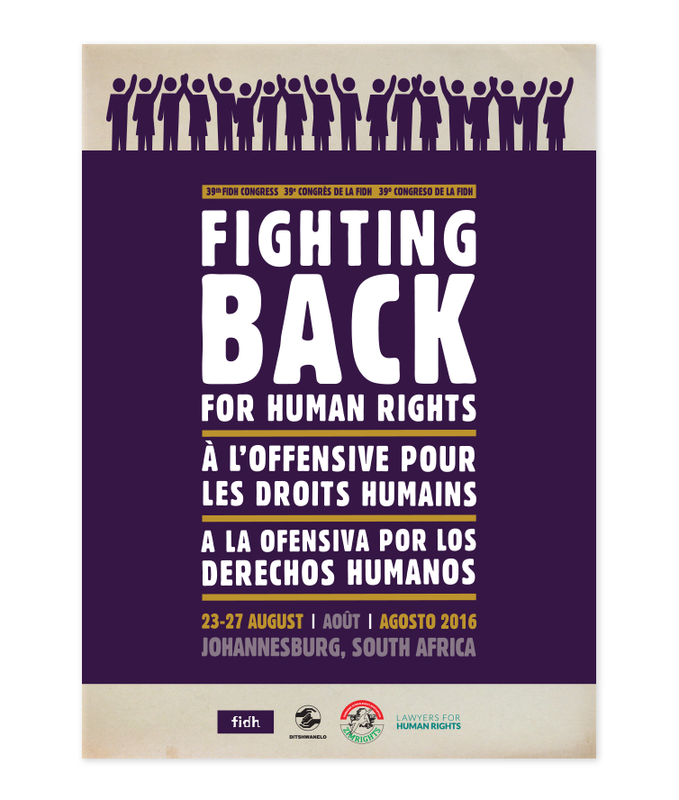 Our work included the branding of the conference, Fighting Back for Human Rights. 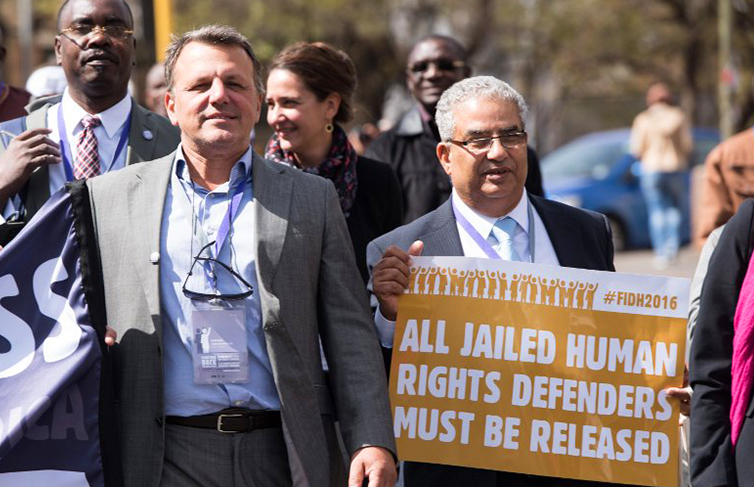 Our branding tools included conference bags, nametags, the conference programme, posters, pull-up banners, slides, social media posts and website banners. 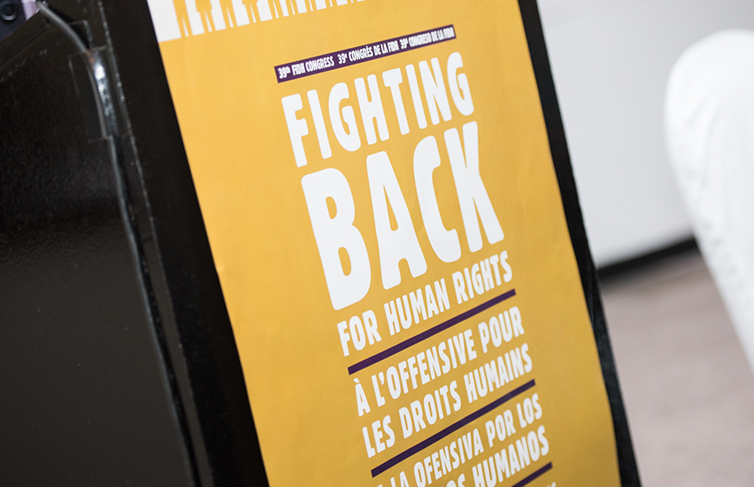 We had to take into consideration the translation of the materials into three international languages, and how the translations would work together with the branding and messaging without creating too many elements without being distracting.